Lieren joined our firm in 2016 and serves as a Retirement Plan Advisor on our 401(k) Consulting Team. As a securities-registered associate, Lieren is involved with many aspects of our ongoing plan advisory services, including our investment monitoring process and plan reviews. In addition, Lieren serves as a direct resource for investment and retirement inquiries from employees and assists with our ongoing employee engagements and financial wellness initiatives. Lieren is a graduate of the University of Arizona where she earned a B.A. in Finance. 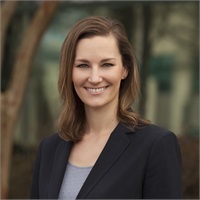 Her previous roles include serving as Operations Manager of a retirement-focused wealth management firm, as well as Portfolio Manager with SunTrust Bank.